Using AFerry you can compare all ferries to and in Finland. We'll show you all the comparable routes side by side, all the ferry companies and show you a range of dates - all so you can find our best prices at the best time for you. We don't work with special offer codes. If you book from this page, or any other, you'll get all our latest deals and offers. There's no need to shop around or find a special code or book from a certain page. Ferries to and in Finland are extremely popular. To avoid disappointment please book soon. You should also be aware that if you book close to your preferred departure, prices can be a lot higher than if you book in advance so please book as soon as possible. The most popular route is Stockholm to Mariehamn. 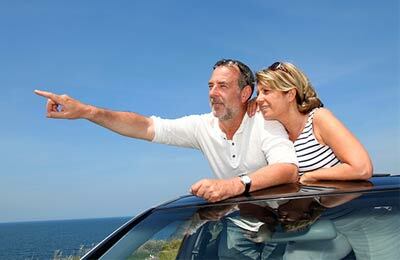 The average price this month for this route is £89 for a car and two people return. Booking a ferry to or in Finland is simple, easy and safe with AFerry, just use the booking form above to get a price. Booking a ferry to or from Finland couldn't be easier with AFerry. You can either use the booking form at the top left of the page. Or, if you see a price you like ABOVE, just select the number of passengers and click get price. Finland, located in the Scandinavian region of Europe, is known as the land of midnight sun and saunas. The Finns are a nation of sauna enthusiasts - there are about 2 million saunas for the 5 million people living in Finland. Helsinki is often known as the `Daughter of the Baltic', and earned a coveted place on the European Union's list of European Cities of Culture in 2000, making it a must-see city in Finland. 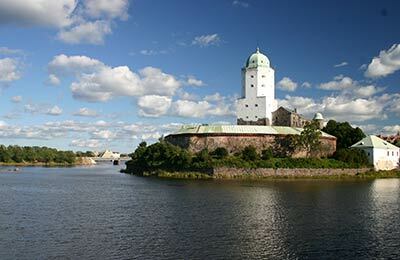 Finland also has many castles which are worth a visit, some of which date back to the 13th Century. To the extreme north of Finland lies Lapland which is known as the land of midnight sun which worth a visit along with the numerous churches, museums and castles in Finland. Finland offers a perfect opportunity for outdoor activities such as skiing, fishing, golfing and more. Not only is the language a puzzle for linguists, being unrelated to any other European language, but instead of the craggy fjords of Sweden and Norway, Finland boasts rolling plains and more than 15,000 lakes. Although marked by the Scandanavian distinctiveness of vast unspoilt areas of wilderness held in balance with a modern, forward-looking welfare state, Finland's unique language and history set it apart as somewhere unique to visit. Finland's unique language and history set it apart as somewhere unique to visit. Finland's travel system is well organised, if slightly on the expensive side. It is none-the-less easy to cross the length and breadth of this huge country easily via many different methods of public transport. For long journeys, planes often represent the quickest way of getting around, and there are a variety of plane companies that offer tickets of different prices. If you are looking for a more scenic way to see the country, however, or are cautious about your carbon footprint, the country is served by a comprehensive bus and train network. Trains in Finland are very comfortable and offer a full range of on-board facilities. For longer journeys, there are often reasonably priced sleeper cars. Buses, whilst slower and sometimes more expensive than trains, often run more frequently and so can represent the fastest way of reaching a destination. Student discounts are also available on some bus routes, so it is always worth asking. There is a large market of inland ferries that cruise the lakes of Finland. Many of these, however, simply do large tours of the lake in question and so don't necessarily represent the most efficient way of getting from one point to another. By car, most roads are passable. However, it is important to be wary of changeable weather conditions, especially in the winter months, and to pay attention to the relevant warning signs, especially when these are referring to elk or reindeer! 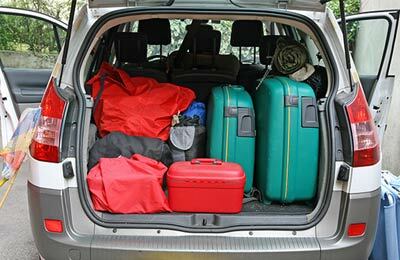 One added benefit of not hitting these animals, who have a habit of rather foolishly wandering into the roads, is that you will still be around to tell the tale at the end of the holiday. It is obligatory in Finland to drive with headlights on all the time and there is a complicated system of rules as to what sort of tyre you should use in what sort of weather and why. Happy go lucky types might like to just guess. However, in the interests of safety and not being arrested, it is probably best to ask someone over there. One of the most popular things to see in Finland is obviously the Northern Lights. However, these are not always easy to predict. For the best chance to see these spectacles of nature, you should head up to the north of Finland during winter. One of the most popular things to see in Finland is the Northern Lights. 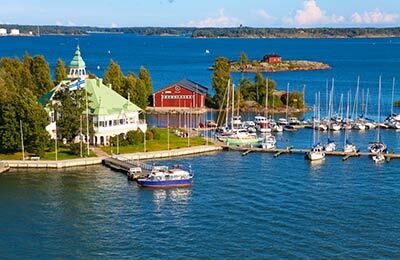 AFerry.co.uk offers the best way to find the cheapest ferry routes to Finland with its easy to use booking form. Begin your holiday on a ferry and start relaxing straight away!